Greetings! It's a wonderful new week, untraveled! I wonder, is there a song entitled, "Let Your Heart Be Your Umbrella?" It would be rather silly, I suppose, in a litter real sense. What next? "Let Your Toes Be Your Foundation?" Well, actually, that one does make sense. I realize it's spose to be all about letting a smile be your umbrella, like that's going to keep you dry, but today let's be equally silly and use hearts as our umbrellas. 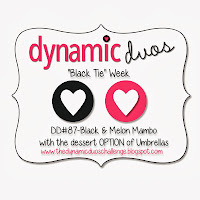 It all started with my desire to participate in the current color challenge at Dynamic Duos. I haven't been able to play with their colors in a while and this week's melon mambo and black are favorites of mine, so I really wanted to play. The dessert option is umbrellas. I also wanted to play in the current challenge at Less Is More which is a sketch. I missed last week and this is one challenge that I do hate to miss. Chrissie and Jen are so talented and are such wonderful hostesses. Their cards, and the cards in the gallery, are always inspiring! Because my card is another Valentine and it uses hearts, I'm linking again with the fun Simply Create Too challenge. And, I'm linking again to The Card Concept Challenge (texture) after Ardyth suggested it would fit in the Clean and Graphic category. That's beciting since that's outside the box for me! 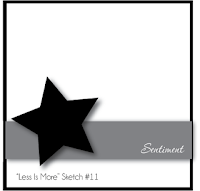 Finally, I see that I've missed the Anything Goes Paper Smooches Stamps SPARKS challenge, but the new Designer Drafts challenge is a very similar sketch, so I hope it's all right to play along. Remember, for all these challenges you just need to click on the links for all the details on rules, spoonsors, and prizes. I hope you can join in! Now, I realize that my heart umbrella is not down on the panel like it should be ala mode the sketches, but it's not my fault that the wind came up just as I was taking the photo! Thank goodness my heartbrella hooked itself on the letter ell or it would have been blown right off my card! This card is a simple-dimple, EZPZ, QACAS, Joe's-your-sister kinda card. Okay, that's a lie. It only has three ingredients, but it did take a bit of time cutting the dies and layering and gluing. That sort of thing. It was very satisfying to me in the end and worth the time it took to get this CASlicious result. Susie Lessard of Summerwalk Designs. 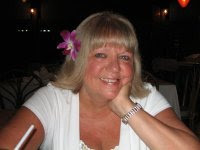 Susie has been blogging since 2010 and as the wife of a retired naval officer, she has lived all over the world. You will love her wonderful writing as well as her talented works of card art! Kristine Porter of Merry Heart Creations. Kristine is a Kindergarten teacher and CTMH consultant who has been blogging since 2012. Like a lot of us, Kristine is addicted to pretty paper, which is soon obvious when your see her beautiful patterned paper card art! Welcome, Susie and Kristine, and thank you so much for joining!! Darnell... This is such a striking and original design... Love the way you did the LOVE! Qoh that is really clever Darnell! Happy Monday - may your pants never smoulder!!!! Something the world could use more of. strikingly elegant and playful at the same time. Your card is wonderful Darnell. I love your heart umbrella and the way you have hooked it round the letter l looks fabulous. Thanks for the smile, I can always count on you to cheer me up! Love it, love it...super duper cute umbrella.... good laugh at the cartoon....have a great and creative week!! Wonderful, stylish and understated card, love it! Great card there Darnell. May I borrow the brolly as it is sheeshing it down outside right now. Better still I will stay in this lunchtime and look at some pretty blogs. This really popped out at the DD pool! Love your creativity! Your heartbrella is genius, Darnell! Also love how you layered the colors on the sentiment. Great card! This is such a fantastic card ... I wouldn't even bother to enter the challenges now ... Great post ... have a lovely day! Fantastic card Darnell! I love the heart umbrella in bright pink! What can I say - I LOVE this card!! ;) Those colours are just perfect partners aren't they and the heart 'brolly is pure genius!! I'd think about entering this in the clean and graphic area of the Card Concept, too! - Love this - it's high-contrast, vibrant and stunning! brilliant idea using the heart as an umbrella! Love this clever card design! CUTE idea Darnell, love the heart umbrella hooked onto your layered die cut!! It was well worth the wait to get to the end of your post and find your super snippety heart umbrella card. Stinking cute it is too. hugs Mrs A. Hearts as umbrellas would be messy, just floating above your head, beating, dripping blood everywhere.... And I admit that I was doubting your veracity about the easy peasy bit (and Joe is my hubby, not my sister, ya weirdo) what with layering those dies. I know it is all the rage these days but certainly I can't own the only pair of renegade hands that do whatever they want especially on fiddly bits. 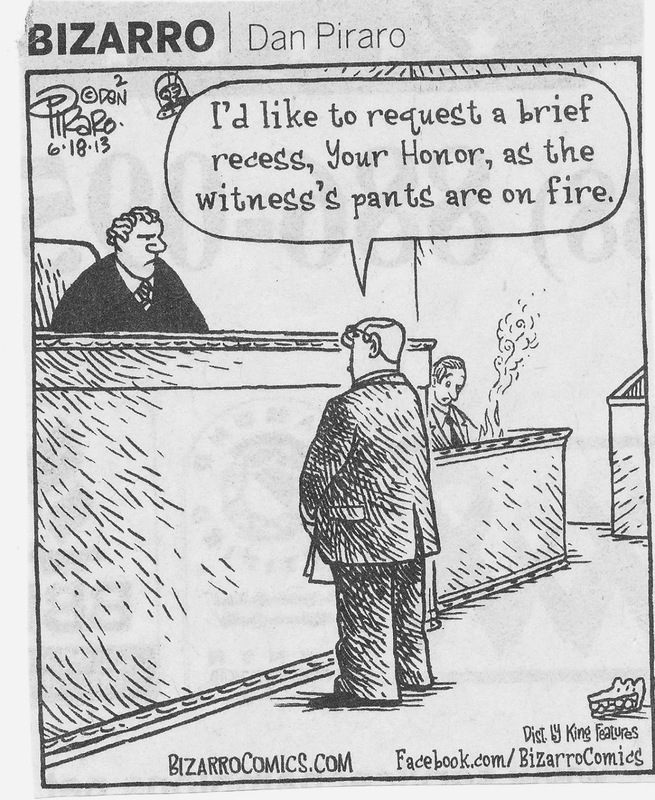 If only liar's pants really did catch on fire... oh, nevermind, we'd all be pantless and I shudder to think of that world. Right back at you Darnell ..... congrats on your Honorable Mention too. What a great post Darnell. Your card is PERFECT, I love it! That would work for anyone, really anytime not just Valentines Day. It was a good thing that the wind blew just in time to put the umbrella positioned perfectly :) Oh I can also relate to the cartoon, how cute! Have a great day; Hugs. A heartbrella. What will you think of next? Such a unique idea and I love the way the word holds onto the handle. Darnell I love your card. Love how you`ve used the dies and your colours are yummy. Thank you for your lovely comment on my blog. I`ve been a terrible blogger lately but I hope to put that right in the future. All the best for the new year to you and your family. Darnell, this is just so clever...love that heart umbrella and your wonderful sense of humor! I've been a little "blue" these days. Thanks for perking up my day with your witticisms and fun attitude. Must admit to forgetting why I popped over Dippy........got so engrossed in your lies..oops story! But then I saw your amazing card. It's absolutely gorgeous and definitely one I'm going to CASE! I'm just gonna write exactly what popped into my head when I first laid eyes on your card..."How do I love you....let me count the ways!" Seriously, I adore this one, Darnell!!! Pinning it, wanting to CASE it, wanting to look at it all day long. It's maybe my favorite of yours ever. Oh, and your comic cracked me up. I love when you share those. I am so glad the umbrella handle caught the L in that puff of wind! Or we wouldn't have got a chance to see this very pretty CAS card!!!! Which reminds me, I'm going to post something on my blog which puts me in mind of you !! This is so wonderful and creative! I didn't have an umbrella either, but never would have thought to turn a heart upside down. lol It really is a great card! Definitely one of your best cards Darnell! I love your umbrella and how it's hooked onto the word Love!! GREAT card! Super duper and Fantastic with a big capital "F"! LOVE IT!!!! This is absolutely fabulous. I love the design, the way the pink and black echo each other, and your score lines. I can see that this would take a long time to get the layout just right, but, BAM, when it is done, it is perfect. Darnell...this is just too darn cute and so stinkin' clever! I love that you turned your heart upside down to make an umbrella...so sweet! Now here is my favorite part, thank you so much for joining us at Simply Create Too! Ahhhhh, you did the double love trick!! :))love it !! Enjoy your week Darnell ! Hope it brings you all good things!! Oh!!! That heart umbrella is so creative and love this CAS card!! You've outdone yourself, Darnell! This is beyond fabulous--LOVE it! What a fabulous design Darnell, so clever. I love the hooked umbrella heart, and the scoring containing the 'Love'. I forgot to say, Thank you so much sharing your card with us at The Card Concept. Brilliant card Darnell - simple and striking !!! Oh wow, I love this design Darnell and will be pinning for sure!!! What a fabulous idea Darnell! Looks fantastic! Hello Darnell, What can I say but BRILLIANT, I love your take on the subject especially the upturned heart. Just stunning. It appears you not only have wind but also sunshine in your neck o' the woods these days. Yippie. I LOVE this. Swept away be a heart umbrella (I used to have a pink umbrella when I was working - making a statement I was). And I'm with you on die cutting and glueing layers... need steady digits. Hi Darnell! first - can I just tell you that I LOVE seeing your cute little craft house every time I drop by - I was a playhouse kind of kid - making mine out of blankets hung over clotheslines in the backyard, not having a sturdy wooden one to play in - You must LOVE creating in there!! You have a great way with words - and although I often just scroll down peoples long drawn out musings to get to the card (Did I really say that??!!) your musings made me laugh today! LOVE your wonderful CAS card with your creative heart umbrella! FAB card Darnell!! Simply perfect. And thanks for the cartoon - gave the family a little chuckle to start our day! You say the nicest things Darnell! This is a fab card, the use of the black layer makes it most dramatic! LOVE your heartbrella, Darnell! Only you could think of that! Love this, Darnell! What a fab looking heart umbrella, you're so creative! Hi Darnell - very striking heart card you've made . . . LOVE it. I think the only type of buttons we have in the Playground are chocolate ones! Nothing to do with a logo! Liar, liar pants of fire - now that is funny!! Your card is right up my alley - clean and simple and so very pretty. Only you could come up with this most adorable take on that Smile Umbrella song. How perfectly you followed thru on the fantasy & I was smiling all along the post. Great simple clean bright lovely card. Did I get all the adjectives covered here? Liked the card! 'nuff said. Now I suggest we post Miz Pixie on our sidebars, so how kin we do dat? I think that little smiley face would brighten up everybody who came to see us, don't you? You think she'd mind? She's awesome, & so kind & helpful to everyone. I'm so thankful I got to know her, and you...and ...and...so many folks at the Playground. TFS & Hugs Oh yep, those owls do sorta look like us'n. I'm the one with the scarf, in case you didn't guess. Brilliant! Totally inspired me. I may have to borrow this idea for some of my Valentine's Seattle city scenes--I will give you credit all the way!! This is so clever! I love the umbrella you created and how it is hooked to the word die! Love, love, love this windblown umbrella, Darnell! Thanks for the heads up at ATSAM. I had no idea! You are so popular, Darnell! If I had to scroll down any further, I'd be in the next county!!! Another wonderful post...Fabulous card, and of course your sense of humor 'kills me'! I adore the way you hung your heartbrella on the letter 'L'...so fun, and so much dimension! Not to mention perfectly CAS! Love it to pieces! I think you may be voted "most popular." This may be one of my favorite cards of the vast number you have created. Everything about it is perfect and I especially love the scored lines. Now, I will put on my DT hat to tell you that we are thrilled to have you back in the gallery at CCC. What a fabulous design, Darnell, it really brightened my day! Love the use of black card to make it all pop:) I needed that brolly today, in fact nearly every day since Christmas! Gee wiz, this is both clever and so cute, Darnell...not to mention striking! LOVE!!! This is adorable! I'm loving how your images pop on the simple white background. Now this is awesome!!! Love the design, Darnell! Thanks for joining the DD! Hey, we're neighbours in the Dynamic Duos HMs - congratulations! Congratulations on your Dynamic Duos HM. Turning that heart upside down for an umbrella was genius! Great card! Have a great weekend! Thank you for your sweet comment today on my blog, and for signing up to follow. Of all the comments I received recently, your's was the most heartfelt and really made my day. I appreciate that so much. 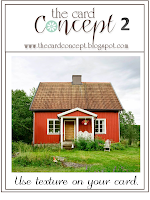 I am going to sign up to follow your fun blog, too! Have a happy weekend. Brilliant idea to turn that heart into an umbrella! Great card! Darnell, using the heart as an umbrella is pure genius! I love your card; it's so striking! Thank you so much for sharing your talent with the Paper Smooches SPARKS challenge this week! Congrats on your DD Honorable mention. Very cute card! Love your card! What a fun idea!! Thanks also for the intro! I am so happy to be following you! I love how the black n pink pop against the white background.. Your umbrella is so cute! Thanks for joining us at Dynamic Duos. Congrats on the HM at DD--this one dropped my jaw & was the winner to me!